RoGallery.com is presenting its fantastic Modern and Contemporary Art Auction on Thursday May 26th, 2016. Over 400 lots of the finest artworks are flying through the auction block for bidders from around the world. This is one of their biggest sales of the year. 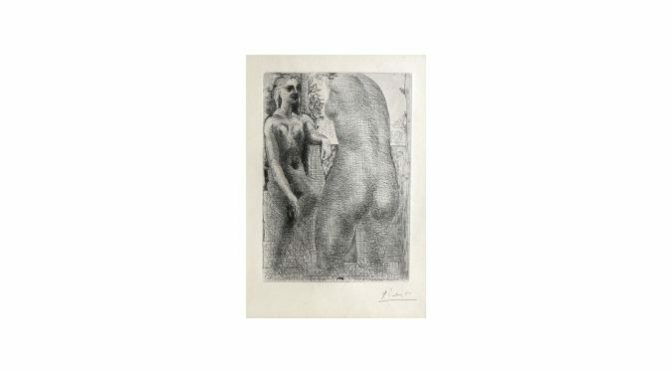 This auction features an amazing array of artists to chose from: Jim Dine, Yaacov Agam, Armando Villagran, Pablo Picasso, Berenice Abbott, Marc Chagall, Leonardo Nierman, Ossip Zadkine, Giuseppe Bartolini, Reuven Rubin, Lou Fink, Peter Mackie, Larry Rivers, Roy Lichtenstein and many more! Bidding is available anytime right up until the live auction starts. With over 400 lots prepared for the auction, they all have descriptions and photos ready in the online catalog. Browsing is easy and registration is simple. RoGallery.com will be pleased to speak about any of the works, via phone or email. All the contact details are available on iCollector.com. The live auction starts up at 11AM Eastern Time on Thursday May 26th, 2016. RoGallery.com will also present a live audio and video stream through iCollector.com for attendees to all feel part of the event. Those unable to attend are welcome and encouraged to place their best bids in the system ahead of the sale.